Meeting OSHA Requirements: How Can I Train My Workers? NTT Inc. - Meeting OSHA Requirements: How Can I Train My Workers? The Occupational Safety and Health Administration (OSHA) workplace regulations have been helping to keep employees safe in dangerous conditions since 1971, reducing serious workplace injuries from 11 workers per 100 in 1972 to 3.6 workers per 100 in 2009. The requirements won’t do your workplace any good if none of your workers knows them, though. One of the best ways to ensure that they do is to offer in-depth OSHA training to certain key workers. Here are three reasons that you might consider investing in formal OSHA training for yourself and your team. We can all agree that getting staff to understand the OSHA guidelines is important, but how are you going to accomplish this? If you just hand all of your employees an OSHA handbook and tell them to read it and abide by it, you are exposing your attempt at achieving this goal to a multitude of easily overlooked risk factors that can throw it off-course. Some employees may have difficulty remembering the finer points of the text and still make critical safety errors. Some may have difficulty with a language barrier. Others may not be able to translate the book’s information into their jobs. Some, of course, may simply not open the book at all. Even if they do, what if they have a question about the material? Having an expert available to consult at any time eliminates many of these problems. A person who is guided by a knowledgeable expert who can highlight the important parts of the material, provide concrete examples and reformulate explanations that are confusing has a much better chance of success than someone left to their own devices – it’s the difference between learning from a qualified teacher and trying to learn by reading from a textbook unassisted. Providing informed instruction lets a supervisor course-correct when violations are in danger of occurring and keeps everything clear and standardized. The most obvious benefit of safety training is that it can greatly reduce the accident rate in your facility, but this change can have positive ripple effects that further underline its importance. Having content employees is always to the company’s benefit – the psychological effects of greater security can provide a powerful boost to individual’s working capacity. Workers who know that their employers value their safety enough to make a financial investment in it are generally much happier, more loyal workers who will work diligently and stay with the company for years to come. This leads to greater profits in both direct (higher productivity) and indirect (less turnover saves on hiring and training costs) ways and generally creates an attractive, positive working environment. A facility that can foster a reputation as being a great place to work can also attract many more high-quality job candidates, ensuring that it will have a bright future for a long time to come. Getting any officially sanctioned OSHA training for your workplace can also have a notable on its bottom line. One of the most tangible ways you may see this benefit is in your worker’s compensation insurance costs. The National Commission on Compensation Insurance regulates your premiums based on both your actual recorded accident record and on whether you’ve taken any concrete steps to keep your workplace accident-free. 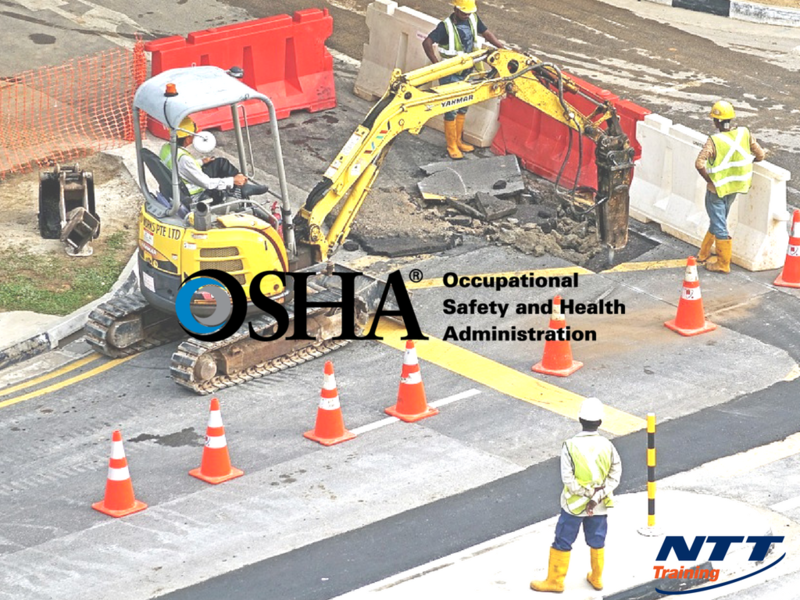 Taking the time to disseminate OSHA training among your employees signals that you are doing your best as an employer to stay aware of these hazards and mitigate them with proactive action. It increases the insurer’s confidence in your commitment to an accident-free workplace and may lead to lower premiums because of this. Documented OSHA training may also help your company secure income it might not otherwise have access to. Few investors want to risk being associated with a facility that has a high accident or mortality rate, and like insurance companies, they may respond well to cues that you value your workers and are putting them first. It should also be noted that since the OSHA is a government agency, investing in this type of training may also give you a competitive edge if you ever have the opportunity to place a bid for a federal contract. It demonstrates that your facility is operating at the expected standards and that your company’s values are in line with those of the Department of Labor overall. While the initial financial outlay may seem unattractive, the cost of OSHA training courses is minimal in comparison to the long-term economic savings they can bring to your company. Are You and Your Workers Ready? All of these points prove that there is a great case for making yourself a leader in OSHA knowledge for your team. If you’re interested in doing so, you should know that NTT Training’s brief 30-hour OSHA training course is an expedient way to prepare to take on this role. Contact us today for more information about this critical course.